Join mindfulness trainer Scott Orth in learning about how our biology evolved for survival and how that negatively impacts us in the modern world. Learn skills for staying focused and calm, for greater creativity, innovation and agility and how to manage irrationally strong emotional responses to events. Feb 7th, March 6th and April 17th. From 12:00 p.m. to 1:30 p.m. in the Diamond Alumni Centre. Coffee & Tea will be served. Max 50 per session. Please be aware that you will be signed up for all 3 sessions. Scott is a mindfulness trainer and coach, who gives leaders and busy professionals the tools they need to thrive in a changing and distracting world. He has studied mindfulness under a variety of experts and brings 14 years experience designing and delivering highly successful leadership development programs. Using a mix of clear metaphors, powerful experiences and simple practices, he provides people with the tools they need to become more resilient, more focused and more productive. He was previously the National Leader of HR for one of Canada’s largest employee-owned engineering and science consulting organizations. 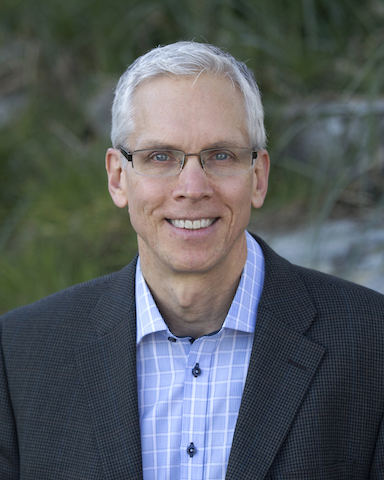 Scott draws on his 27 years of corporate experience to connect the concepts of mindfulness with the world of corporate leaders and the analytical minds of busy managers and professionals. He also walks the walk every day. As a business owner and entrepreneur, he uses these skills to manage his focus, his resilience and his reactivity to the world on a daily basis. He is also the parent of a 12-year old son, who while amazing on so many levels, deals with anxiety. Anxiety can express itself as highly emotional, oppositional and stubbornly defiant behaviour. Mindfulness has become the most powerful tool he has in dealing with highly challenging parenting situations. Scott has had the great fortune to work with the brilliant people at SAP, EA, UBC, BCIT, Urban Systems Ltd., Miller Titerle + Co. LLP, Alexander Holburn Beaudin + Lang LLP, Miller Thomson LLP, Habanero Consulting, Smythe LLP, Schneider Electric, Brighter Mechanical Ltd., BC Assessment, plus numerous other organizations and leaders.